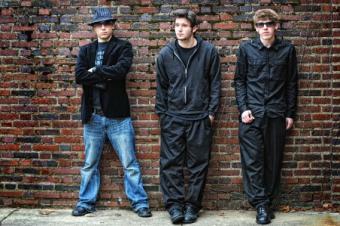 Motter Flynn is an alternative/rock n’ roll band from Cleveland, Ohio. The members of the band are Nick Buehner (20) on drums, Mike Pappas (21) on guitar and vocals, and Joe LaGuardia (21) on bass guitar. Motter Flynn is a three piece indie alternative, rock n’ roll band from Cleveland, Ohio. Their catchy songwriting and unique on-stage chemistry is getting much deserved attention. In October 2008, Motter Flynn independently released their “Rigate Pitygraphs” EP. A track on the EP, “Just For You,” recently won Ultimate-Guitar.com’s inaugural songwriting contest grand prize. Although the Motter Flynn sound is truly their own, they cite bands such as U2, Radiohead, Smashing Pumpkins, and R.E.M. as influences. Motter Flynn are versatile musicians, performing comfortably as a fully electrified band or an intimate acoustic trio. Motter Flynn has performed shows at The Winchester in Cleveland, Ohio, opening for guitarist Sam Getz (Kate Voegele, Stephen Kellogg & The Sixers), Josh And The Empty Pockets (8th Impression/Universal Music Group), Anne E. DeChant, and The Kelly Richey Band. They have also performed at other notable venues such as The Kent Stage in Kent, Ohio, The Agora, in Cleveland, where they opened for Parachute. Wilbert's in Cleveland, Ohio, where they opened for Jen Woodhouse of Nashville. The members of Motter Flynn are Nick Buehner on drums, Mike Pappas on guitar and vocals, and Joe LaGuardia on bass guitar. They have been performing together as a band since late 2007. In high school, they won numerous Battle of the Band competitions and placed second in Cleveland’s prestigious “Mountain Dew High School Rock-Off” beating over 70 regional high school bands. You can hear Motter Flynn's music at www.motterflynn.com.